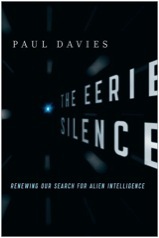 The book’s main theme is expressed in its subtitle, ‘Renewing our search for alien intelligence’. 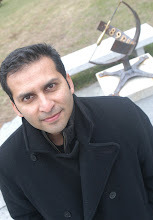 Davies has first-hand experience with the subject: 1) he heads the center ‘Beyond’ at Arizona State University, which addresses several important themes, including ‘The origin of life and the search for life beyond Earth’, ‘SETI - the search for extraterrestrial intelligence’, and ‘Alternative forms of life’; 2) he currently chairs the SETI Post-Detection Taskgroup, which discusses what we should do if/when a clear, bona fide SETI signal is received; 3) he has previously written “Are We Alone? Philosophical implications of the discovery of extra-terrestrial life’ (1995). This year is a commemorative year for SETI, and that is one reason why Davies has decided to revisit the subject. Another important reason is that he has lately realized that the SETI program has been too anthropically limited in its vision (SETI projects are constructed unconsciously assuming the aliens are similar to us in various ways), hence the “renewing our search” in the subtitle. Indeed, it was 50 years ago that Frank Drake set out to detect SETI radio signals through the pioneering Project Ozma, only a few months after Cocconi and Morrison published their famous Nature paper presenting what should be (according to them then) the best strategies for searching for alien signals. And 2010 is the 60th anniversary of the famous Fermi Paradox, “where are the aliens?” (if they exist, they should have reached here already). And last but not least, after 50 years of “eerie silence”, it’s surely time to take a step back and reconsider the whole project, from techniques to expectations and potential impacts. The main idea of the book is that anyone seriously interested in SETI should be fully cognizant of the fact that aliens, if they exist anywhere, will most probably be drastically different from us, in form, technology, philosophy (intentions), etc. To assume that just because radio communication is “advanced” and can travel thousands of light-years, that aliens will use it as their preferred technique, is very naïve. As Drake himself admits, and Davies echoes, today’s human technology is substantially different from that of 50 years ago, imagine then what the situation must be with a species that has had millions of years to change. Davies comes back to this essential point again and again, insisting that aliens could be using drastically different methods of exploration or even communication, assuming they decide to do that (which is uncertain), from biology (programmed or data-packed viruses) to miniature self-replicating machines or even galactic web-like networks. Davies takes seriously the possibility that aliens could have parked a machine somewhere in the solar system; he asks what astronomical observations could confirm or reject this and finds no evidence for such alien intrusions. Similarly, he asks whether any “missing comets” could be a signal of alien interference. And he asks whether any different type of life that might be found even here on Earth (or anywhere else) could be a telling sign. Indeed, before we consider ETI (extra-terrestrial intelligence), one should first ask about any ETL (extra-terrestrial life). What is the probability that life exists elsewhere (not counting Mars, because it could have been contaminated by Earth or even be the original site of life that later developed on our planet)? No one knows: somewhere between zero (“life is a fluke; it appeared only once by an extraordinary lucky chain of events”) and one (“life is a cosmic imperative, it must have appeared a zillion times in the universe, wherever the conditions are appropriate”). To cut to the chase, the absence of any evidence for any life of any kind anywhere (though we have been limited in our search), coupled with the absence of any sign of bio-chemical law of systematic progress toward life and intelligence makes many people (including Davies) very skeptical of the “cosmic imperative” viewpoint. He also spends a whole chapter explaining how the search for a “shadow biosphere” here on earth, where life could have appeared independently and with different characteristics (e.g. inverse chirality) would provide support for the idea that life appears more easily than it seems (since it would have done so at least twice here on Earth, or perhaps one or both having come from elsewhere). He and other researchers have proposed some schemes for looking for “weird life”, so far with no success. And what about intelligence? How common would it be, assuming life is not so impossible to produce? Again the evidence here on earth is not so encouraging: given many chances (including the dinosaurs) and lots of time, high intelligence (technologically capable of exploration and communication) has appeared only once! Davies also has several good pages on this topic, including a critical examination of Drake’s famous equation, which he shows to be all but useless. Indeed, since we have no idea about the probability of the emergence of life around a “good planet” or about the development of intelligence and technology, the equation tells us nothing at all. Let me stop here and postpone to the next post the discussion of how an ETI could be like (“god-like”, as Davies says), and what an “encounter” (receiving a meaningful message) with ET’s would do for/to humans. Let me just close this overview of the book by saying that I very much enjoyed reading it. As usual with Davies’ writings, I learned a great deal, most of the time without much effort at following the presentation, the facts, or the arguments, even though sometimes they were far from my area of knowledge. I highly recommend the book to anyone with an interest in SETI, whether the scientific aspects of it or the cultural ones. It is a treat to get such a nice and short (200 pages) state-of-the-art presentation by someone who is not only at the forefront of research in astrobiology but also sits at the helm of a taskgroup currently thinking and producing recommendations on what should be done in the event of a detection.